The businessman, a British national, was arrested in the UAE and extradited to India on Tuesday night. 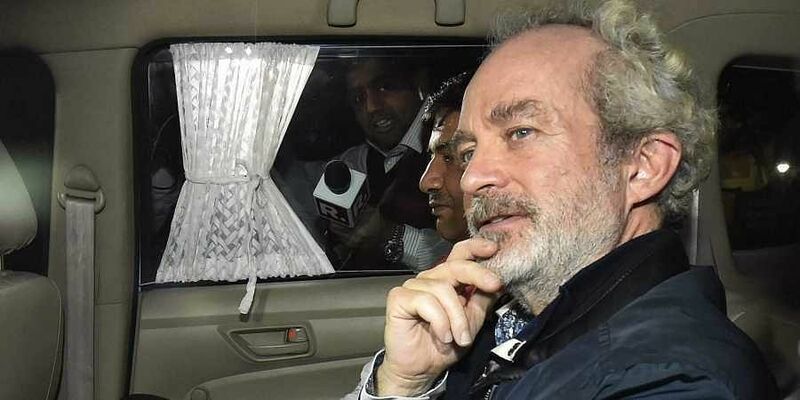 LONDON: The UK government on Wednesday said it has sought urgent information from India on the circumstances surrounding the detention and extradition of Christian Michel, the alleged middleman in the Rs 3,600-crore AgustaWestland VVIP chopper scam case, who is facing allegations of bribery. Michel, who was the alleged middleman in the graft-tainted AgustaWestland chopper deal during the UPA rule, was sent to five-day CBI custody by a special CBI court in New Delhi, a day after he was extradited from the UAE. "Our staff continue to support the family of a British man following his detention in the UAE," said a spokesperson for the UK's Foreign and Commonwealth Office (FCO). "We are in contact with his family and the Emirati authorities regarding his case, and are urgently seeking information from the Indian authorities on his circumstances," the spokesperson said. Michel is one of the three middlemen being probed in the case, besides Guido Haschke and Carlo Gerosa, by the Enforcement Directorate (ED) and the CBI. Michel has denied all charges and alleged that the CBI wants him to take the names of the Gandhi family, a claim which had been refuted by the central probe agency. CBI prosecutor D P Singh said in court that Michel was required for custodial interrogation to unearth the "deep rooted conspiracy" and the money trail in the case. His custody was required to identify Michel's accomplices including the Indian Air Force (IAF) officials, bureaucrats and politicians, who were influenced or were instrumental in changing the decisions, which made Anglo-Italian company AgustaWestland eligible to participate in the bidding process and to ultimately secure the deal, Singh argued. India has since scrapped the contract with Italy-based Finmeccanica's British subsidiary AgustaWestland for supplying 12 AW-101 VVIP helicopters to the IAF over alleged breach of contractual obligations and charges of paying kickbacks by it for securing the deal. The deal, initialled in 2010, was scrapped on January 1, 2014. In the court, the special judge was informed by the CBI that its investigation showed Michel had entered into 12 contracts through two of his firms -- M/s Global Trade and Commerce Ltd, London and M/s Global Services FZE, Dubai, UAE, with M/s Finmeccanica, M/s AgustaWestland, M/s Westland Helicopters, UK and others. The British High Commission in New Delhi has also sought consular access to Michel.